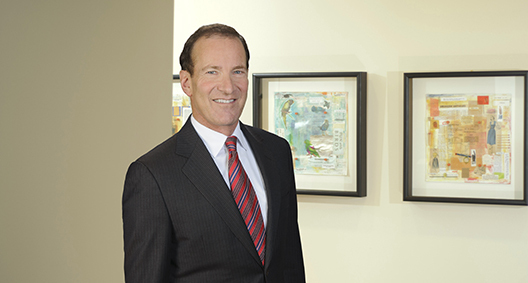 Jim Levine practices U.S. immigration and nationality law with an emphasis on business and professional immigration issues. He represents clients in industries that rely on human capital, particularly from abroad, for the sustainability of their businesses. Jim provides his clients with complex strategic advice concerning their short- and long-term immigration law alternatives so they can make informed decisions about issues that have significant business and personal consequences. He monitors legislative and agency activities to forecast, and advise clients on, the changing immigration environment and its potential impact on U.S. business operations. Represents domestic and multinational corporations in planning for temporary assignments, long-term employment and relocation strategies for foreign nationals in the United States. Assists clients with visa processing issues that arise at U.S. consulates abroad. Obtains routine nonimmigrant (temporary) visas, permanent residency and citizenship for clients. Assists clients with I-9 and E-Verify compliance issues. Obtained very difficult H-1B, L-1A and L-1B, E-1, E-2, and TN visas for multiple clients, including an instructional coordinator at a university, a program instructor connected to a local college, two managing executives of a musical theater complex and a technician in a prestigious art gallery. Assisted a rapidly growing international financial services company with the completion of documentation during the hiring of foreign national employees. Work included H-1B visas, TN visas, L-1A visas and green card applications. Developed new systems to keep the client apprised of case developments and scheduling needs. Assisted an international motorcycle manufacturer in obtaining a P-1 visa for an international motorcycle racer. Represented this client in several visa matters as it expanded its market in the United States and Canada. Assisted in the creation of a training program for foreign law school graduates to learn about U.S. patent practice and obtain H-3 (training) visas. Defended administrative enforcement actions (including those related to federal and state Superfund statutes), litigated cases on environmental issues, provided environmental assistance in corporate and real estate transactions, and provided day-to-day regulatory counseling as part of his environmental practice. Clinic for Education, Treatment, and Prevention of Addiction, Inc.